The Womens Beta SV Bib Jacket from Arc'teryx is hardwearing and highly versatile, the Beta SV Bib is built for rugged mountain conditions. Breathable and durable N80p-X 3L Gore-Tex Pro is reinforced with N115p-x face fabric in high wear areas for protection against harsh mountain environments. 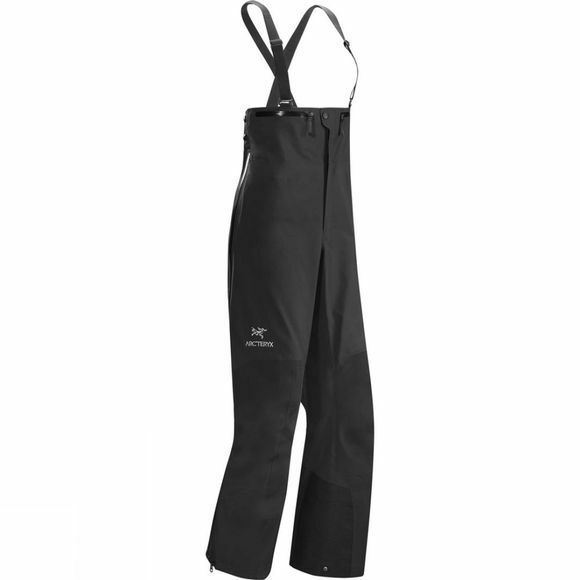 Fully separating WaterTight two-way zippers give a drop seat option and ease removal over boots and crampons. An elasticized waist keeps the cold and snow out. Keprotec instep guards shield from cuts and abrasion, and a bootlace hook helps keep the cuff secure. Athletic e3D fit is streamlined but accommodates layers.